Unlike many cities in the world, Cancún just isn’t afraid. It’s unabashed and unapologetic, and in that lies its high-gloss charm. So send in the Maya dancers, swashbuckling pirates and beer-chugging US Spring Breakers. Cancún can take it. But can you? Like Las Vegas, Ibiza or Dubai, Cancún is a party city that just won’t give up. Top that off with a pretty good beach and you have one of the Western Hemisphere’s biggest tourist draws, bringing in as many as 4 million visitors (mostly from the US) each year. It’s hard to believe this little fishing town would become a worldwide phenomenon. In the 1970’s Mexico‘s ambitious planners decided to outdo Acapulco with a brand-new, world-class resort located on the Yucatán Peninsula, and Cancún was born. Although it isn’t for everyone – and this type of mass-tourism certainly won’t interest all travelers – if you’re here, you might as well dig into the kitsch and crap that make this city unique. If you are going to visit just one of Quintana Roo’s islands, then Isla Mujeres (Island of Women) is probably the place for you. It’s not as crowded as Cozumel, yet offers more to do and see than chiller-than-thou Holbox. Sure, there are quite a few ticky-tacky tourist shops, but folks still get around by golfcart and the crushed-coral beaches are better than those of Cozumel or Holbox. There’s not much here and that’s the whole point: come to bask in quiet shallows or stretch out on the sand, to snorkel or scuba dive, or just to put the sunglasses on and open that book you’ve been dying to finish. Supervised eco-tourism and regulated commercial fishing is allowed on and near the island. Only a few tour companies have permission to bring the only at maximum 200 daily visitors to Isla Contoy. 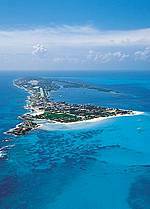 Visitors need to apply for permission to visit the island at the Park offices in Isla Mujeres Cancún. Four species of turtle find a safe haven for nesting on the beaches of the island, namely the loggerhead turtle, Green turtle, Hawksbill turtle, and the leatherback turtle. The reserve is also a sanctuary to approximately 152 tropical marine birds, like the frigate bird, brown pelican, and the double-crested cormorant. 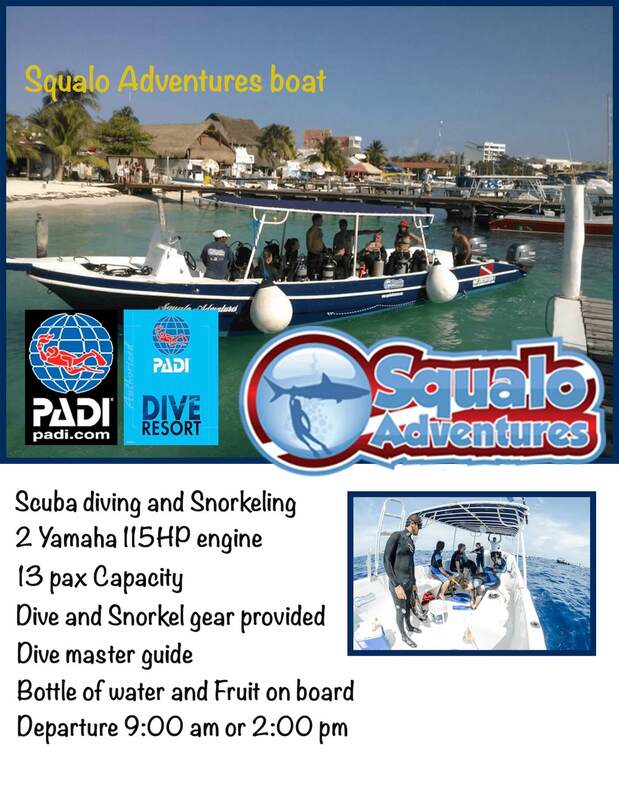 An immensely popular diving spot since 1961, when Jacques Cousteau, led by local guides, showed its spectacular reefs to the world, Cozumel lies 71km south of Cancún. 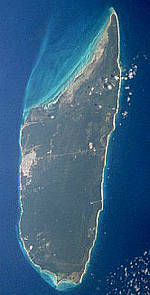 Measuring 53km by 14km, it is Mexico’s largest island. Called Ah-Cuzamil-Peten (Island of Swallows) by its earliest inhabitants, Cozumel has become a world-famous diving and cruise ship destination. Hurricane Wilma did some serious damage to the snorkeling sites around the island, but most of the deep-water reefs missed the brunt of the storm. 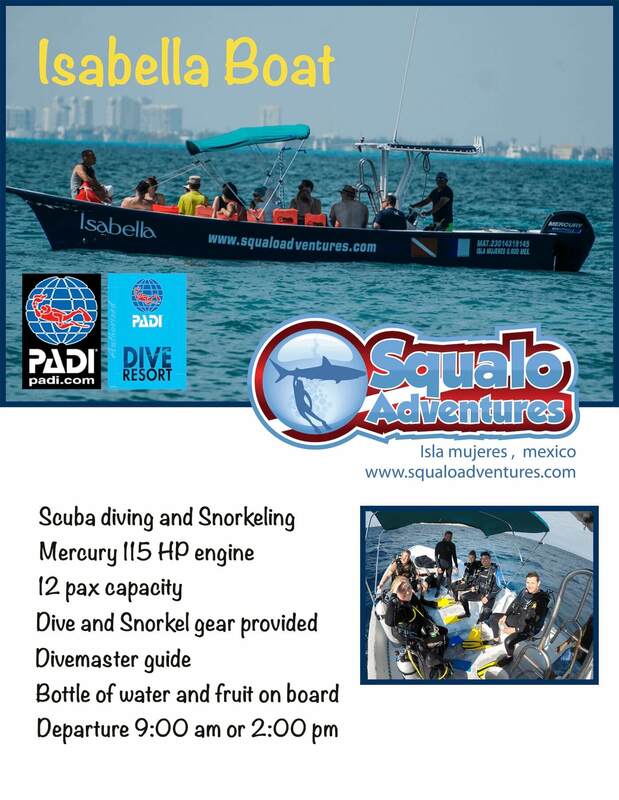 Sadly, the squadrons of eagle rays have dwindled, due to overfishing of the shellfish stocks – no shellfish, no eagle rays. While diving and snorkeling are the main draws around here, the tourist zone offers lots of shopping ‘deals’ (often not very cheap) and a pleasant town square to spend the afternoon. In February there is a festive Carnaval, which brings dancers festooned with feathers out into the streets. There are also some small Maya ruins and a few eco-themed parks. Isn’t life great when it’s low-fi and low-rise? That’s the attitude on friendly Isla Holbox (hol-bosh), with its sand streets, colorful Caribbean buildings and lazing, sun-drunk dogs. The water is not the translucent turquoise common to Quintana Roo beach sites, because here the Caribbean mingles with the darker Gulf of Mexico. The island is about 30km long and from 500m to 2km wide, with seemingly endless beaches, tranquil waters and a galaxy of shells in various shapes and colors. Lying within the 1541 sq km Yum Balam reserve, Holbox is home to more than 150 species of bird, including roseate spoonbills, pelicans, herons, ibis and flamingos. In summer, whale sharks congregate relatively nearby in unheard-of quantities. Most of the people of Holbox Island make their living fishing. It is common to see fishermen walking through Holbox Village with their catch of the day or carrying their nets. The streets of Holbox Island are made of white sand, common of Caribbean islands, and there are very few cars. 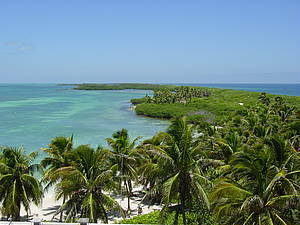 Holbox is considered a virgin tourist destination because very few outsiders visit the island. In spite of Holbox’ natural beauty, inaccessibility has left it unspoiled by mass tourism. The Mayas called them dzonot, which the conquering Spaniards translated as cenote. Geraldo Díaz Alpuche was a military commander in the 16th century who was greatly impressed with these underground caverns and pools, and he tried to explain the meaning of the word cenote in the Spanish language as meaning “deep thing”. The Motul dictionary, a dictionary of Mayan hieroglyphics, defines dzonot as “abysmal and deep”. Cenotes are magical, enigmatic and unique in the world and were once the only resource for fresh, sweet water in the local Yucatecan jungle. They were the sacred places of the Mayas for that reason, but also because they represented the entrance to the underworld. Arriving by air into Merida, think of the land of cenotes, geological cavities which vary according to their morphology; deposits of crystalline waters with a stunning kaleidoscope of natural light, and also, incidentally, which played a leading role in the development of the Mayan culture. 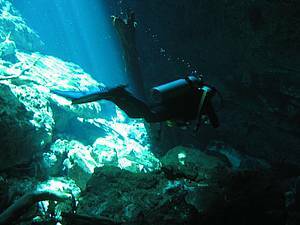 Without cenotes, this enigmatic civilization would not have prospered, not to mention the religious significance that they played in their mythology, as the gateways to the underworld. When your plane touches down, only a few meters away from the runway are some of these natural wonders. The cenotes by the airport cannot be visited, as they are not open to the public, but the geography of the Penísula is full of them. Do not miss the chance to see the cenotes of Yucatán: pure magic!